As a residential property management company, we have a team of 30 property management specialists who provide services to Landlords, Tenants and Corporate Clients. Our experience and services include recommendations on getting the best rental yield, maintaining your properties, and finding and vetting quality tenants. Our company culture can be summarised in terms of ‘going the extra mile’ to develop a personal relationship with our clients and their properties. 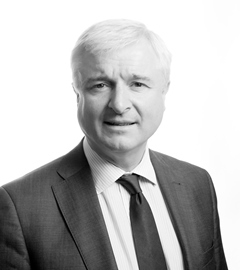 Michael established Sherry FitzGerald Lettings Rathfarnham, alongside Fergus Lowe, in 2003. 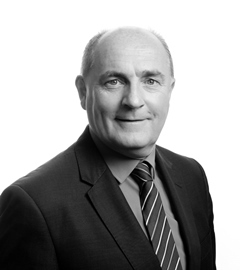 He has over 30 years of experience in both the financial and property sectors. Michael is passionate about providing a professional and personal property service to all clients. He has a reputation for his ability to engage with clients, and he consistently listens and communicates with all involved in the asset/property management process. Fergus co-established Sherry FitzGerald Lettings Rathfarnham, with Michael Kennedy, in 2003. He has operated at Senior Management level in many industry sectors for 30 years, and in the last fifteen years he has operated in the property sector. Fergus has played a vital role in developing business strategies and driving the company forward. He is highly professional and focuses on delivering superior results for our clients.